London Fashion Week Men’s AW17: Private White V.C. Ahead of the Private White V.C. 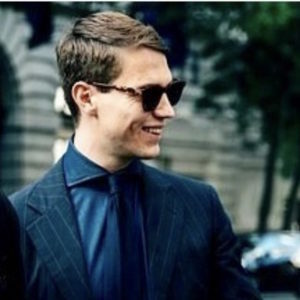 presentation at London Fashion Week Men’s this evening, The Rake speaks with Creative Director Nick Ashley, for an exclusive insight into what’s in store. You might have noticed a large number of names are absent from the London Fashion Week Men’s (previously known as LCM) schedule this season. Yet all hope is not lost, there are still a few ‘remainers’ that are deserved of rakish approval, one of which is Private White V.C., showing later today. Private White is a brand immensely dear to The Rake’s heart, purely because it’s a stunning example of a ready-to-wear label that uses materials of exceptional quality, has a classic yet refined aesthetic and is emphatically British. Manufactured in England from materials made by British mills and merchants, it should come as no surprise that we are, as ever, very excited about the Autumn/Winter ’17 collection. Consistent each season, its outerwear — the greatest garments in any man’s wardrobe — is the Manchester-based brand’s forte. And as we all well know, luxury outerwear demands functionality, quality and a perfect fit — requirements that Private White V.C. excels at delivering. Named after one Private Jack White, an individual who served valiantly in World War I, there are plenty of military connotations, references and reinterpretations of military garb in each collection. This also naturally rubs off in the clothing’s technical constructions - so attention to detail is intrinsically important. We spoke to Nick Ashley, Private White’s Creative Director, ahead of his presentation to discuss the Autumn/Winter ’17 collection. 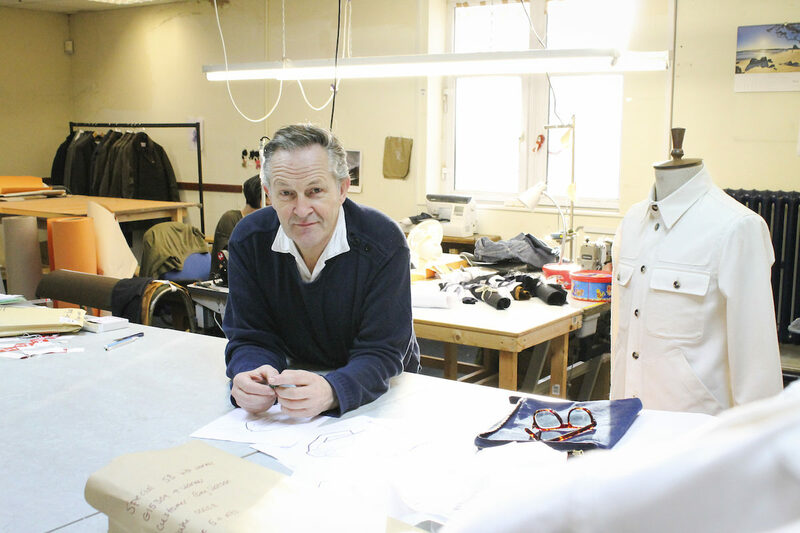 Ashley is a shrewd designer and the mantra of ‘Made In England’ (or Britain) is deeply important to him. Thus, he has shaped Private White into one of the most exciting British luxury ready-to-wear brands around today. It’s also worth noting that Ashley is evidently a family man, and interestingly, family has filtered through his creative consciousness and into his Autumn/Winter ‘17 collection flawlessly. What can we expect from your upcoming AW17 collection? This winter we are converting to androgyny and the best example of how we have embraced this change is our Family Coat. It’s one style that suits the whole family and they can all fit into it. What has been your main source of inspiration? Interestingly, the main source of inspiration is our female customers. I have had so many asking me over the years to do women’s clothes that are exactly like our men’s, but which fit them properly. So we have responded to this but have kept a boyish cut, which means that not all shapes and sizes can fit into our clothes… sorry! Have you sought out any new fabrics or incorporated any new processes of garment construction? Yes, we have of course developed our own fabrics and cloths; double cloth, and double-faced cloth. We have also started a brief flirtation with a ripstop Ventile, which is really popular, so we have to started use it in more weights, colours and weaves. How would you summarise the collection’s aesthetic? The aesthetic is quiet, or stealthy. I wanted to produce clothes of the highest quality, using the best possible fibres and to make them in this country costs money and makes the product necessarily expensive. Our customers do not want to swank that expense around on their backs, so I stick to a strict aesthetic: ‘Lo-Bling’. My daughter recently paid me the highest compliment; she said, “Dad, your clothes say nothing”. Which element of the collection are you most proud of? I am most proud of the Family Coat. My daughters warned me to stop being so gender specific and the second they tried on the family coat they stopped squawking! Overall, the Family Coat can very much be seen as a ‘wrap coat’, gown or top coat. One size fits all, and it’s not gender specific. It’s cut in an amazing cashmere blend, so it’s super soft and features a military stripe on the inside. It’s definitely my favourite piece in the collection.